Mount Kilimanjaro is so prominent for its spectacular geographical features coupled with the beautiful mountain vegetation, plentiful bird life, and abundant game. Kilimanjaro National Park lies in Northern Tanzania, near the town of Moshi between the Kenyan border and Moshi River in an area above the 2,700m, on the mountain. It includes the moorland and highland zones, Shira Plateau, Kibo and Mawenzi peaks. The Park, in addition, has six corridors or rights of way through the Kilimanjaro Forest Reserve – which is also a Game Reserve established in 1921. 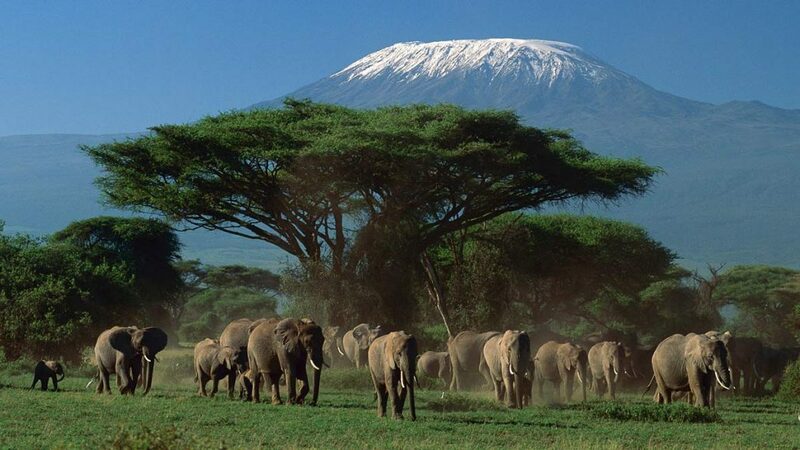 Kilimanjaro National Park itself was established in 1973 and officially opened in 1977. Mount Kilimanjaro is Africa’s highest mountain and one of the most instantly recognizable landmasses on the African continent. Its unique profile and snow-capped peak form one of the most breathtaking sights on earth. This effective world’s largest single mountain and freestanding entity tower an incredibly 5km above the surrounding plains; and has a Size of 1668 sq km. Kilimanjaro is a beacon for visitors from around the world. This is because it’s one of the world’s most accessible high summits. Most climbers reach the crater rim with little more than a walking stick and determination. And those who reach Uhuru Point, the actual summit, or Gillman’s Point on the lip of the crater, will have earned their climbing certificates. There is an amazing quality of wildlife and flora in this region and a trek to Mount Kilimanjaro can be one of those precious moments in life, which anyone would never wish to forget. Inside the park, a number of mammal species have been registered above the tree line. They include elephants, several species of rodents, grey duiker and eland, bushbuck, red duiker, the endangered Abbott’s and buffalo. Bird varieties like lammergeier Gypaetus barbatus, hill chat Cercomela sordida, Hunter’s cisticola Cisticola hunteri, and scarlet-tufted malachite sunbird Nectarinia johnstoni have also been found but most of them are few in numbers. The limited range of the bird species at higher altitudes includes Alpine chat and scarlet-tufted malachite sunbird. There is limitless support for the wildlife in the National park zones because the montane forest, moorland, upland moor, alpine desert, and alpine bogs provide suitable vegetation in the park. The best time to visit Kilimanjaro National Park is from July to October and from December to March. These are the clearest and warmest conditions as well as the prime time to catch a clear glance of the abundant game in the park. 128 km (80 miles) from Arusha. About one hour’s drive from Kilimanjaro International Airport. 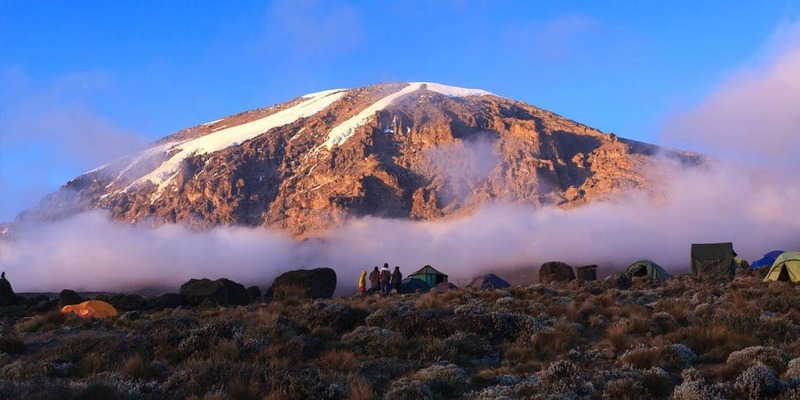 The most popular activity is an attempted hike to the summit, which requires a minimum of five days using the Marangu Route, the most popular and easiest option, but also the most crowded and ecologically compromised. There are several trekking routes to reach the summit and most of them traverse a landscape that is unforgettable and a wildlife that is amazing. Major routes are Marangu route, Mweka route, Machame route, and Shira route.